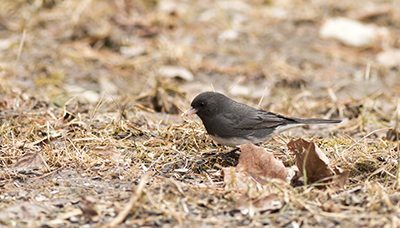 Some people call the Juncos, Snowbirds. 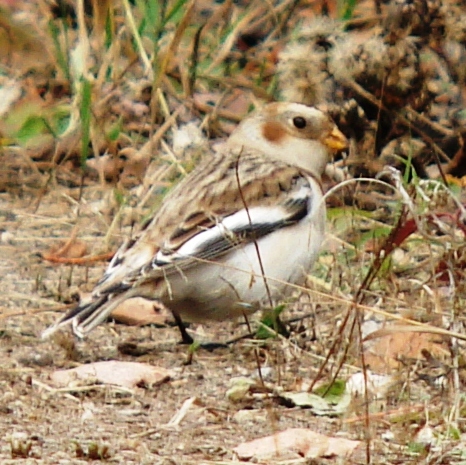 But, the real Snowbird has just arrived in northern Minnesota over the past week, and that bird is the Snow Bunting! These little birds congregate along the roadside in late fall, as you drive by they swirl up into the air. From the car windows, they look like little white birds as their wings flash a lot of white. In the fall they are brown and white, but in the spring the males are a bright white and black. Now their feathers have worn down to a muted brown to match the females and juveniles of the year. It helps in their camouflage as they forage in the grass. Snow Buntings will continue their migration to the grasslands of the prairie in the central U.S.